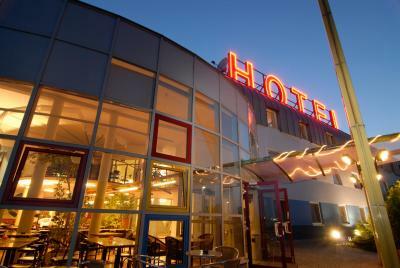 Lock in a great price for LifeHotel Vienna Airport – rated 8 by recent guests! Everything you need for a short stay between flights! Room was spacious and comfortable. Good TV, shower and friendly check-in staff. Airport itself is only a couple km away so it can be reached by walking to the local station (appox 15-20min) and taking the train one stop to the airport, or of course paying and using the hotel's airport transfer service. Stuff was nice, bed was comfy, it was silent and 10 min drive from the airport. Receptionist was great! I never meet anyone so open and so helpful like this one. This was biggest surprise! Rooms are clean and beds are comfortable. 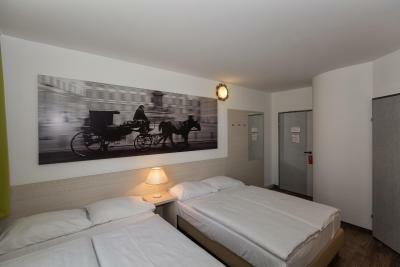 Airport was near so in case you need some hotel near Vienna airport for take a good night sleep this one is for recommendation! All (!) employees, together with the owner, were very friendly ! 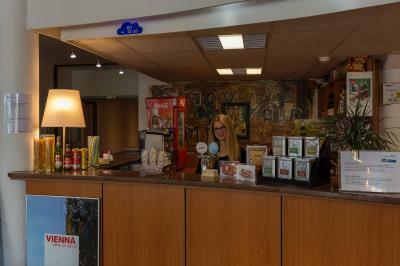 LifeHotel Vienna Airport This rating is a reflection of how the property compares to the industry standard when it comes to price, facilities and services available. It's based on a self-evaluation by the property. Use this rating to help choose your stay! 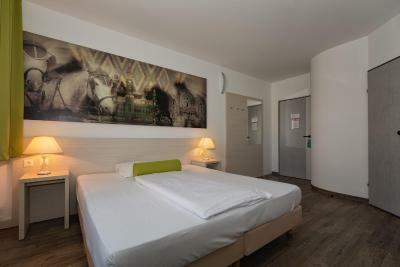 This 3-star hotel is located in the small town of Fischamend, 3.1 mi from Vienna Airport and 12 mi from the city center of Vienna. 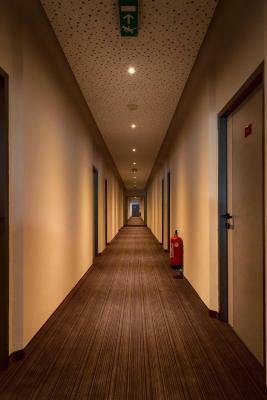 It offers soundproofed rooms right at the beginning of the town, right next to the airport motorway. Free WiFi is provided in all areas. 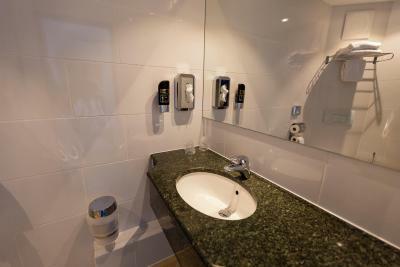 The modern rooms at LifeHotel Vienna Airport have satellite TV, a private bathroom, and a work desk. Snacks and drinks are available around the clock at the bar. Breakfast is available from 06:00 to 10:00. 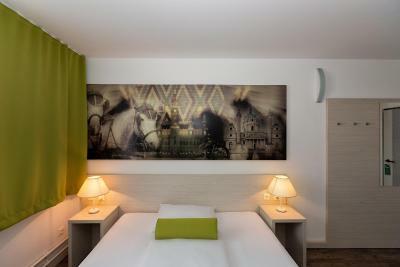 Restaurants can be found nearby and the Danube-Auen National Park can easily be reached from the property. Fischamend offers a train connection to Vienna once per hour. This property also has one of the top-rated locations in Fischamend Dorf! Guests are happier about it compared to other properties in the area. This property is also rated for the best value in Fischamend Dorf! Guests are getting more for their money when compared to other properties in this city. 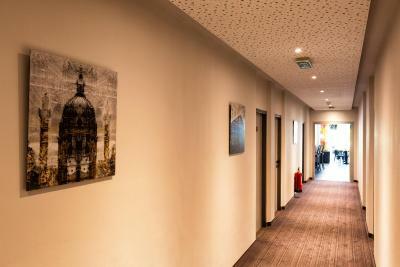 When would you like to stay at LifeHotel Vienna Airport? This room comes with satellite TV and a bathroom with shower. 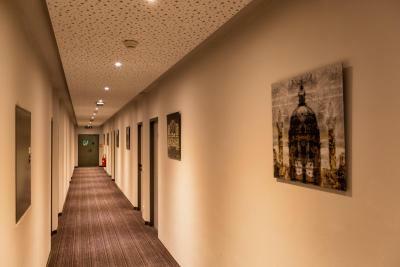 House Rules LifeHotel Vienna Airport takes special requests – add in the next step! LifeHotel Vienna Airport accepts these cards and reserves the right to temporarily hold an amount prior to arrival. Please note that the shuttle service is only offered one way (from the hotel to the airport). Please note that the parking policy only applies to personal vehicles, not to trucks nor bigger busses, and it is generally only available on a first come, first serve basis. Please note that the free parking is only valid during your stay at the property. On request and against a surcharge, you can also park your car at the hotel and get a shuttle service to the airport. Please note that if you book 5 rooms or more, special conditions and additional supplements may apply. 1. Though it was clean and functional I did expect to have a simple set of toothbrush & toothpaste for one-time use by guest like me, who only visit for an overnight flight connection stay. 2. Having some fresh-cut vegetables and a bread toaster would be an upgrade to the served breakfast. It was an overnight connection stop in my way to the US, so being close to the airport and having a regular shuttle was important for me. 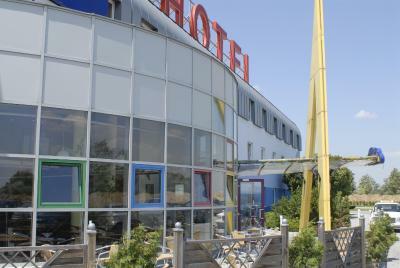 Hotel in 3 kilometers from the airport. It is a bit strange for hotel that has airport word in the name. We had really nice stay at this hotel. Room was very good equipped. Everything was new and clean. Erika at reception desk was very kind and professional. Thank you! 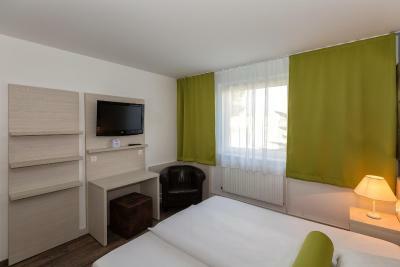 This is a clean functional hotel is a small town close to the airport. I had a nice walk in the town to the rail station this morning thanks to the advice from the receptionist. All good. It took staff 30 minutes to show up at reception desk. 21:00 and there is only one person at the bar+reception desk. He (or the software) is very slow and checks everything several times. Registration takes so long (10 minutes/person). I was at a point where I registered and asked him to sell me a drink (drinks are sold at the same counter by him) and he explained I have to wait until he accommodates the next group of 5. Additionally they claimed there is not a single iron in the hotel. It is just plan stupid, not to have an iron at an airport hotel. Hotel has airport transfer during the night and i didn't have to take a taxi. Cost was ~15 euros. I only read in the morning that a long shower (with open bathroom door) can trigger the fire alarm that would cost the guest 300 EUR+. I wouldn't be happy to pay this extra charge just for a long shower :-) The breakfast service finished earlier than shown. Close to the airport, however, for a late flight the shuttle does not work and the cab is around 20 EUR. Basic, not bad breakfast. 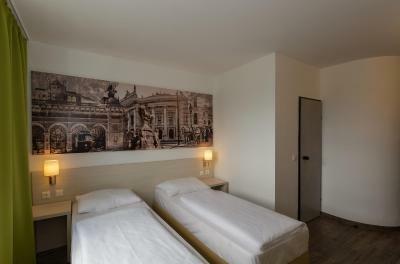 Great shower, good beds, and very near to the airport.